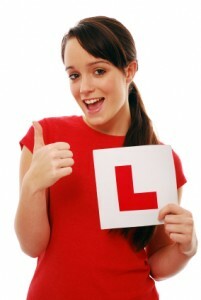 Learn to drive in Liverpool with Driving Instructors driving school and pass your test first time. We have DSA fully qualified instructors throughout the whole of the liverpool area waiting to teach you. We provide driving lessons in Liverpool for all ages and abilities. On the day of your first lesson your instructor will call to pick you up and an agreed place and time. Your instructor will check your licence and eyesight. If you are a complete beginner your instructor will drive you to a quiet place to start the lessons. If you are an experienced pupil the instructor will ask you if you would like to drive away. If you do not feel comfortable doing this he will drive you to a quiet place to start. The driving lessons follow the DVSA syllabus for learning to drive. The driving lessons are given at a pace to suit you. Our instructors will never rush you into anything you do not feel comfortable with. Driving lessons are given strictly on a one to one basis. You will never share the car with another pupil. Driving lessons last for one hour or if you prefer two hours. We use dual controlled cars fully air conditioned and not more than a year old. All our instructors are fully qualified ad DVSA registered. We do not use trainee instructors unlike some of the major driving schools.